TEHRAN (Tasnim) – Syrian President Bashar al-Assad hailed joint action by Damascus, Tehran and Baghdad against terrorism as a leading factor binding the three countries together. The bond was reinforced during Syria’s battle against foreign-backed terrorism and militancy, he added. The Syria president also described the terrorists and mercenaries as a mere façade for the countries that support them. 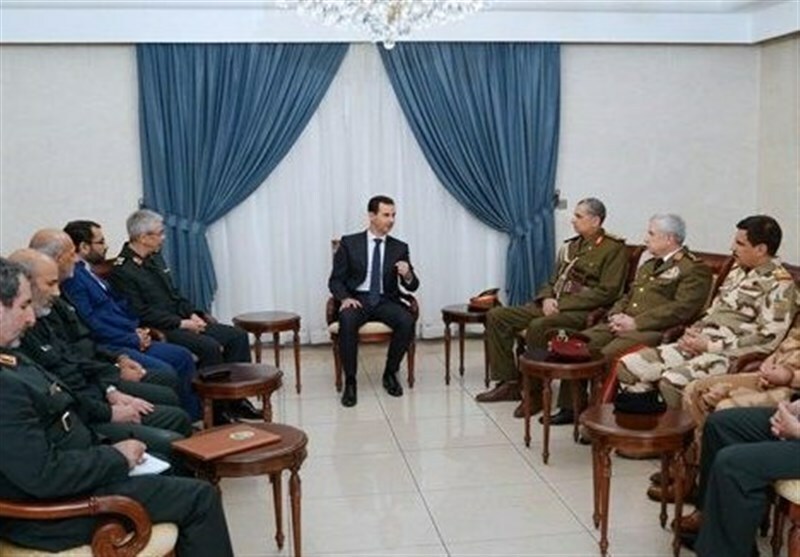 Assad and the three commanders also discussed the latest developments in Syria and ways to enhance coordination for a more successful anti-terror battle, Press TV reported. Chief of Staff of the Iranian Armed Forces Major General Mohammad Hossein Baqeri, Iraq’s Lieutenant General Othman al-Ghanimi, and Syrian Defense Minister General Ali Abdullah Ayyoub held a trilateral meeting in Damascus earlier in the day. In the meeting with Assad, General Baqeri said the anti-terror fight and defending Syria boosts Iraq and Iran’s security as terrorism threatens the three countries alike and also targets the region as a whole. The states and peoples of the region have to coordinate their efforts to combat this threat, the top Iranian commander added. Speaking to reporters upon his arrival in Damascus, the Iranian commander had announced that the foreign forces stationed in Syria without coordination with the Damascus government should leave the Arab country. On Monday, General Baqeri said at a joint press conference with his Syrian counterpart that the fight against terrorists will continue until their full elimination. In recent years, the Middle East region has been plagued with Takfiri terrorist groups like Daesh (also known as ISIS or ISIL), which are believed to have been created and supported by the West and some regional Arab countries. 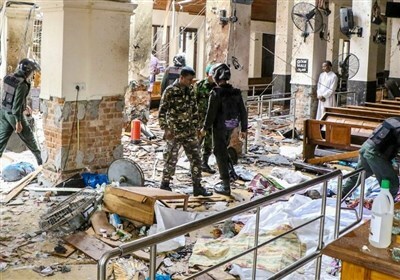 The terrorist groups, which claim to be Islamic but whose actions are anything but, have been committing heinous crimes not only against non-Muslims, but mostly against Muslims in the region. Iraq and Syria have been gripped by insurgency with various terrorist groups, including Daesh, fighting their central governments. In the meantime, Iran has remained a close ally of the countries and supports their legitimate governments in the face of foreign-backed militancy.